The lobbyist gift report is part of the Lobbyist Activity Report, a notarized disclosure that lobbyista were required to file twice during 2010 (January 20th and July 20th). 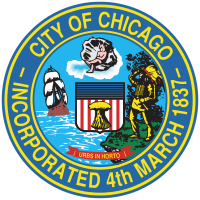 Lobbyists were required to report every gift given to an official or employee of the City by the lobbyist during the reporting period. The lobbyist expense report is part of the Lobbyist Activity Report, a notarized disclosure that lobbyists were required to file twice during 2010 (January 20th and July 20th). Lobbyists were required to report single expenditures paid by the lobbyist or charged to the client totaling $250.00 or more on Form C Part 3 Section H Question 2 (http://bit.ly/q2lRTh). All lobbyist activity reports are submitted to the Board of Ethics in paper form and are available in their entirety in the Board's offices. / Data Owner: Board of Ethics [http://j.mp/mbH9BN] / Time Period: 2010/ Related Applications: Registered Lobbyist List http://j.mp/l8LwAq. When a lobbyist terminates all activity that requires registration, the lobbyist must file a termination notice and a final activity report that covers the period between the most recently filed activity report and the date of termination. Lobbyist termination information is submitted to the Board of Ethics in paper form and is available in its entirety in the Board's offices. The Board has, since 2000, compiled and posted static lists of all lobbyists and their clients online. Previous policy did not require the Board of Ethics to prioritize the reporting of all data available from paper filings.